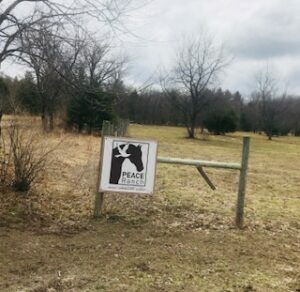 Nestled back on Hoosier Valley road in Traverse City is a tranquil farm appropriately named “PEACE Ranch.” At first glance, it resembles a regular farm; horses, outbuildings, and gardens. However, it is so much more than that. 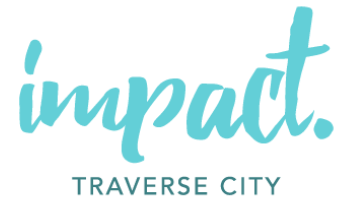 I recently had the opportunity to meet with Jackie Kaschel, executive director, and learn about PEACE Ranch, one of Impact 100 TC’s 2017 grant recipients. PEACE Ranch is home to 17 unique rescue horses, most of whom have suffered some sort of abuse or neglect and were difficult to place. 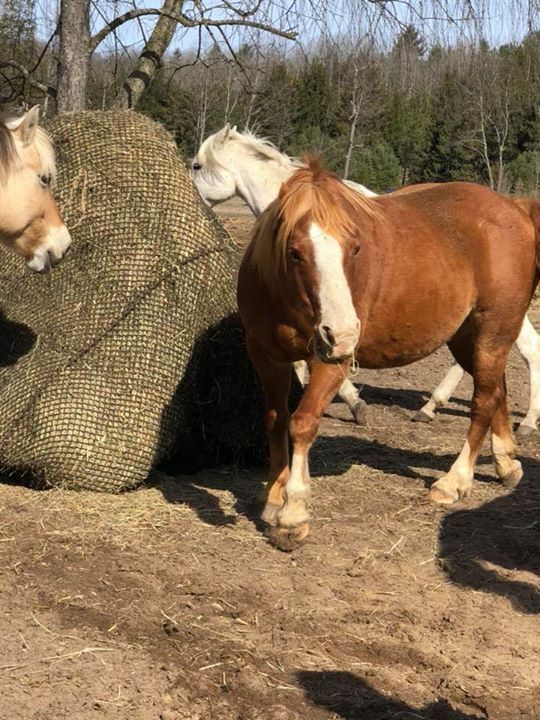 These horses act as “therapists,” helping those who also are struggling with the effects of trauma in their own lives. Sound crazy? Don’t be so quick to judge. In 2010, President Obama allocated funds to provide Equine Assisted Psychotherapy (EAP) to veterans, and according to Psychology Today, it is “undoubtedly on its way to becoming the new “must do” form of healing” (www.psychologytoday.com). Jackie explained that unlike dogs or cats, horses are powerful prey animals. Naturally predisposed to read emotions and body language, horses are non-judgmental. Individuals receiving EAP benefit from increased confidence, mindfulness, connectedness, and more. PEACE Ranch offers therapy to people from all walks of life, but often are working with children and veterans. One veteran in particular went from being a suicidal recluse to becoming a state-certified Peer Support Specialist. Because of PEACE Ranch, there are many stories like his to tell. PEACE Ranch was awarded the Impact 100 Grant in 2017, and with it came big plans. Jackie (in collaboration with Child & Family Services of Northwest Michigan) is working on developing the very first Experiential Therapy Center integrating Art, Music, and EAP. 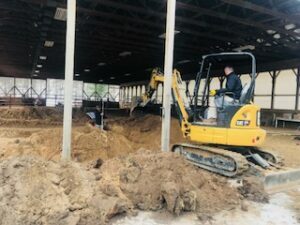 They recently broke ground on the project and construction of the center should be completed in June. 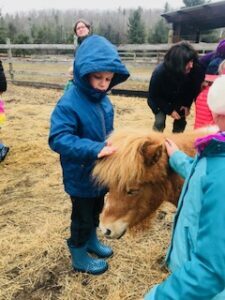 A multidisciplinary team is being assembled and trained at PEACE Ranch, and with the new training and programming being rolled out this year, they should be able to serve twice as many children and families as last year. Currently, PEACH Ranch offers regular classes and events including “Hug and Groom” and Herd Meditation. 400 words just doesn’t do EAP or the ranch justice, but I will say that as someone who has suffered from childhood trauma, I was surprised at how emotional and moving this experience was. If you or someone you know is struggling with the effects of trauma in their life, please visit www.peaceranchtc.com or call 231-499-4736 for more information.